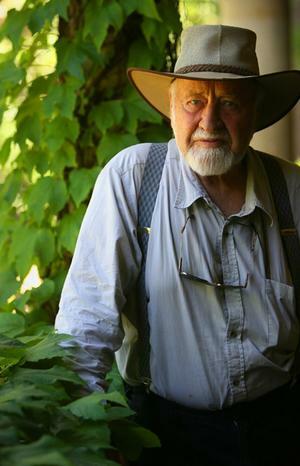 Bruce Charles (Bill) Mollison (b 1928), founder of Permaculture, was born in Stanley, and after leaving school aged fourteen, worked as a baker, fisherman, firewood splitter, researcher for CSIRO and the Inland Fisheries Commission, and lecturer in Psychology at the University of Tasmania. In the 1970s, Mollison researched and published extensive genealogies of Tasmanian Aborigines, enabling many to prove their lineage, and assisting the emergence of the Tasmanian Aboriginal movement. At much the same time, with David Holmgren Mollison developed the idea of Permaculture, the harmonious integration of landscape and people by establishing agriculturally productive systems with the diversity and stability of natural ecosystems. Mollison wrote many books about Permaculture, founded the Permaculture Institute (1978), and addressed audiences around the world. Informal, energetic and engaging, Mollison was extremely successful and Permaculture gained popularity worldwide, though this later declined somewhat.